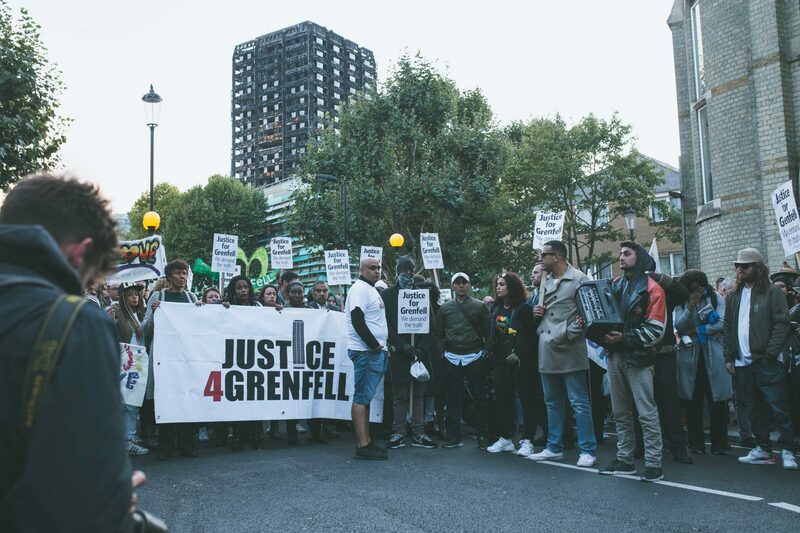 Justice4Grenfell are calling a demonstration at the Council’s last meeting of the year. Please join us on the 6th December 2017 at RBKC Town Hall, Hornton St, London W8 7NX at 17:30pm. It has been almost six months since the atrocity of the Grenfell Tower fire and to date there are over 100 families who are still living in hotels. Many families are sharing one bed between them, whilst children are expected to complete homework or learn to crawl on the same beds they sleep on. Theresa May said the residents would be rehoused in 3 weeks! In a borough where there are 1652 empty homes, it is a disgrace that the council has not been able to devise a strategy that has enabled the residents of Grenfell Tower to be rehoused more quickly. This has compounded the trauma that the survivors of the fire have been through. J4G believes that this is a continuation of the council’s disdainful attitude to its social housing residents and a perpetuation of the discriminatory housing policies which have left thousands in temporary accommodation outside of the borough. We will not wait in silence for the council to implement their flawed rehousing policy. Six months in hotels is too long! We demand justice for Grenfell. RBKC, act now and house the residents in safe and decent homes. 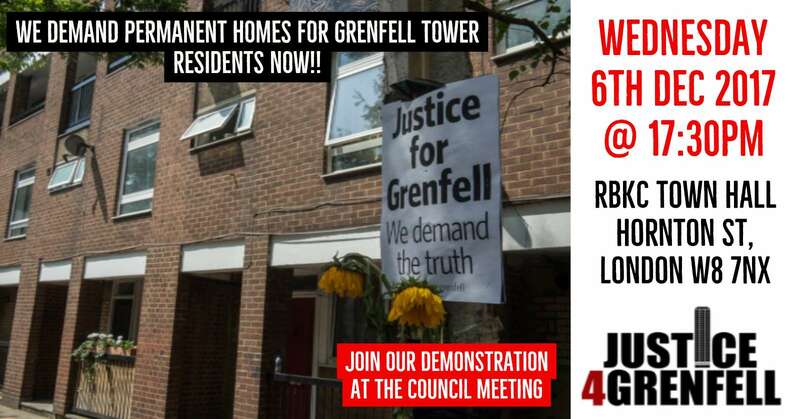 You can find the event page on Facebook by clicking here – Protest: House Grenfell Residents Now! !